Funeral Services Brooklyn: What is a Full-Service Funeral? Funeral arrangements are not easy or fun for most people to make. They never come at a good time, and they usually involve decisions that you feel unprepared to make, right when you are emotionally overloaded. It’s common for people to put off thinking about death until it happens, and then it feels overwhelming because it is often uncharted territory for you and your loved ones to navigate. 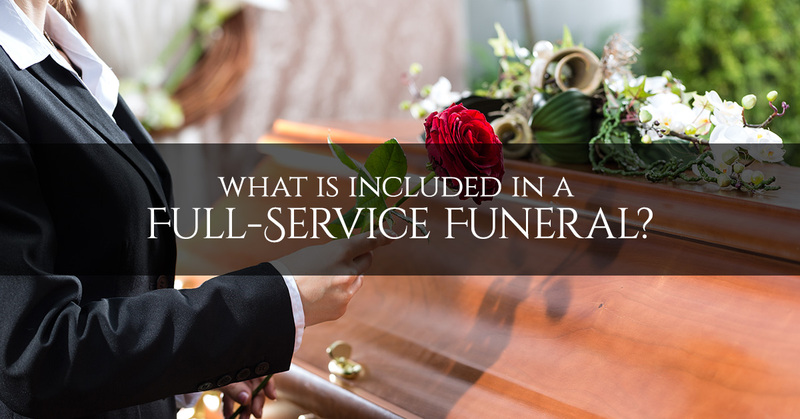 So if you’re feeling disoriented by all the different options available to you for the arrangements you should make, our funeral home in Brooklyn would like to go into what you can usually expect to be included in a full-service funeral. The first part of a full-service funeral is the viewing, where all the family members and friends can come to pay their last respects to the departed. When you choose to have a viewing, it’ll also mean that the body of the deceased will be embalmed. This means that the body will be prepared with chemicals that slow down decomposition. The funeral home will also dress the deceased person and apply makeup. It’s typically possible to have a viewing even when an autopsy has been performed on the body. To prepare for the viewing, you’ll also need to choose a casket. At the memorial service, you’ll have the chance to eulogize the deceased, share memories, and worship in the style of your faith if you choose to do so. The memorial service will require you to have a room with enough seating to accommodate the funeral guests. Your funeral home will have facilities for this purpose, and you can ask for a tour. Some people choose to have their funeral memorial service in a church, which requires an additional step of transporting the body. You should also think about whether you want a particular minister to conduct the service. After the memorial service, pallbearers will carry the casket out of the building to the hearse that is waiting to drive to the cemetery. You’ll want to have selected 6-8 people beforehand as pallbearers to carry the casket. The funeral home can make arrangements for the hearse. The practice in the old days of funeral processions driving through town all together with their headlights on or carrying an identifying flag is not commonly seen today, and you’ll want to check with your local laws to see if it is even legal to do this. Here in New York, each driver will have to make their own way to the burial site. The burial is the time in your funeral service where the casket will be lowered into a hole that has been dug in the ground in preparation for this moment. You might also have another short graveside service. Having a burial plot in New York City is not a given for most people, so if you’re wanting to be buried in the cemetery, it’s a good idea to make those plans early. Traditional burial and a full-service funeral is admittedly costly. For a lower-cost option, ask us about direct cremation. Harmony Funeral Home is here to offer you funeral services in Brooklyn, so contact us today to talk about your needs.